Freebies, Fix-It With Fran:All Things Faith, Family, Food, Fun and more! This week I received my “Frosty Vox Box” from the Influenster Blogging Network. For full disclosure, I received this for testing purposes from Influenster. Now that the formalities are out of the way, on to the fixings! This month, I’ve been working on Operation, “Empty Out the Deep Freezer” and it’s been going rather well. Last week, I made Vegetable Beef Stew and Pan Seared Steaks. I had more meals planned, but with holiday parties and sporting events, I ended up only making dinner two nights last week. So on to this week. I found some drumsticks in the freezer that I decided to thaw, but then I was thrown a curve-ball when Brandon said he wasn’t in the mood for BBQ chicken…. say what? How can you not be in the mood for BBQ chicken??? But back to the recipe…. With BBQ out the window I set myself to the task of identifying another recipe to use for the chicken. 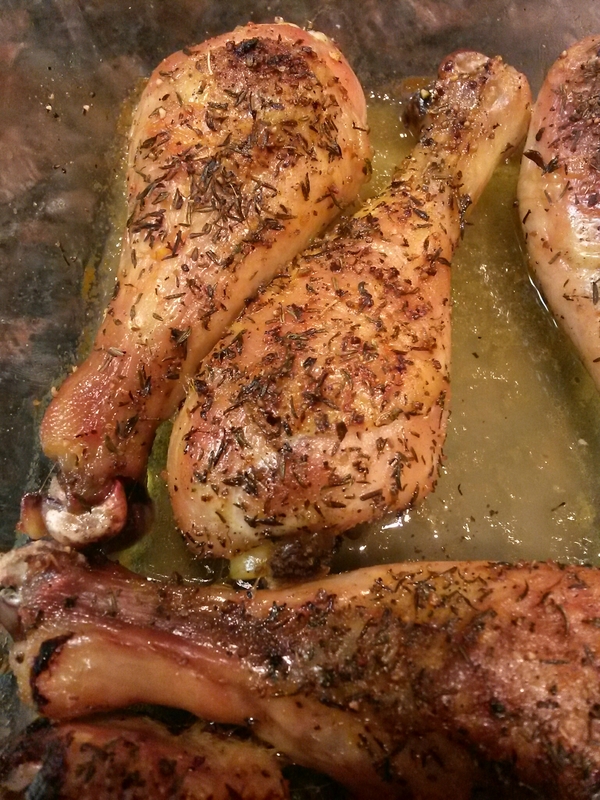 Thankfully, dark meat is pretty forgiving, so I knew I had that working in my favor. My “recipe” was pretty simple. I set the oven at 375°. I didn’t measure the seasoning (gasp). 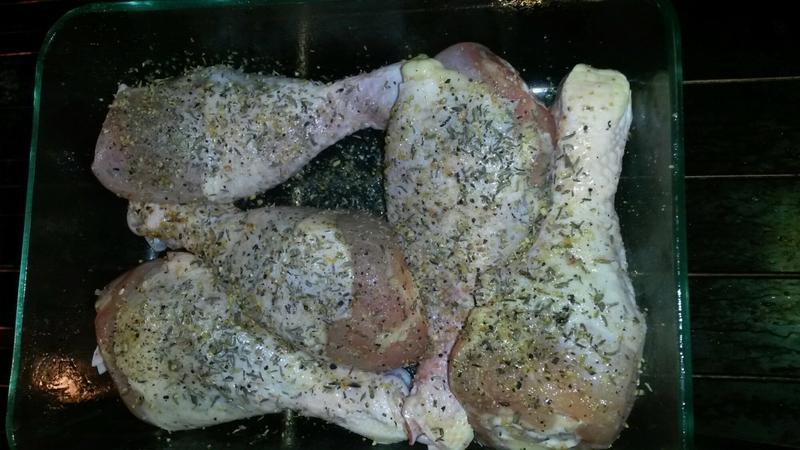 I believe in adding seasoning until it looks right…. AGAIN, chicken is pretty forgiving, so while this may not be the best method, it works. Just make sure you coat each side evenly. I used a vaporizer to apply olive oil to each side, covered my Pyrex dish with aluminum foil then baked the chicken for 30 minutes. Then I removed the foil and baked the chicken for an additional 30 minutes. I served the chicken alongside collards, stovetop stuffing and rice. Nothing fancy. 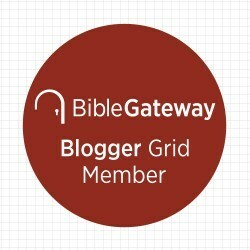 My final review. 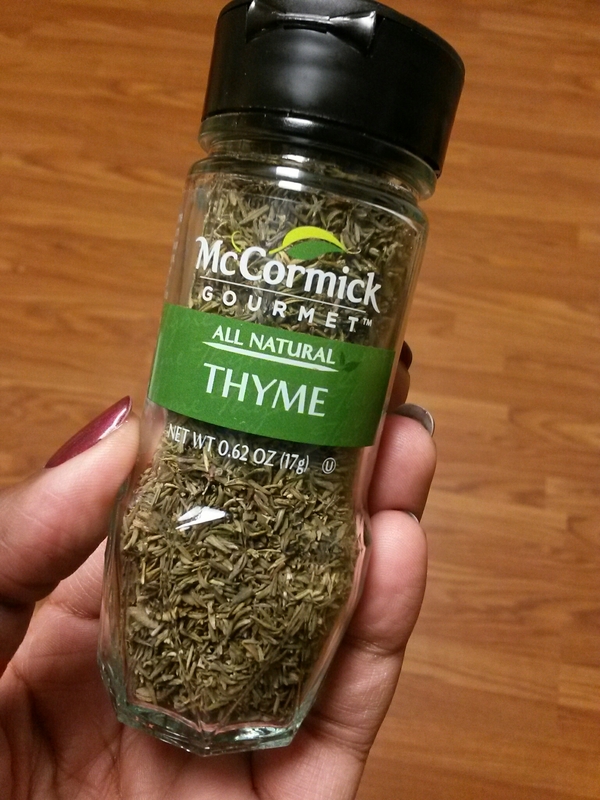 Thyme is on my side. YES it is. 🙂 I look forward to using it in more recipes. Cooking in the Campus Apartments at UNC-Chapel Hill. As far as I can recall, “Fix-It With Fran” was born in 2008 (The timestamped photo supports that theory).